Affidea, the leading European provider of advanced diagnostic imaging, outpatient and cancer care services, has today announced the launch of two new applications to drive forward the digitisation of its operations and increase productivity and quality in imaging. Affidea will introduce for almost 70% of its centres a cloud-based KPI Dashboard and a Mobile App to support the company’s drive for digital healthcare, in a bid to improve workflow management, utilize better the capacity of the installed equipment base and enhance patient experience across Affidea’s expanding network. The new digital tools use machine learning and complex algorithms to produce real-time and predictive insights, with the purpose to increase productivity while maintaining quality, preventing delays in appointments and reducing waiting times which results in improved patient experience. “The launch of our KPI Dashboard and KPI Mobile App rounds off a very successful year for Affidea, as we aim to become the premier digital healthcare provider with the most extensive network of medical centres powered by AI. “This is the beginning of Affidea’s journey developing KPIs dashboards across our network to address downtime, capacity, patient safety and overall increase the quality of our medical services. Radiology is no longer an industry driven only by state-of-the-art technology. These digital tools will help us be more proactive by using predictive data. For example, we are one of the first healthcare providers that can predict the replacement of a CT tube before it breaks and avoid unpleasant incidents and delays. Our goal in operational excellence is to use state of the art technology, insight-rich data out of our machines and the best human expertise all together. The positive impact of our digital dashboards will be felt immediately by our expert clinical teams and technicians across the business, and, most importantly, by our patients. These two digital tools are initially installed in 165 centres across our network, the rest being completed by the end of the year”. Affidea will work with different vendors for the KPI Dashboard which contains a set of key performance indicators to assess the quality and productivity of Affidea’s service vendors across 16 countries in the continent. 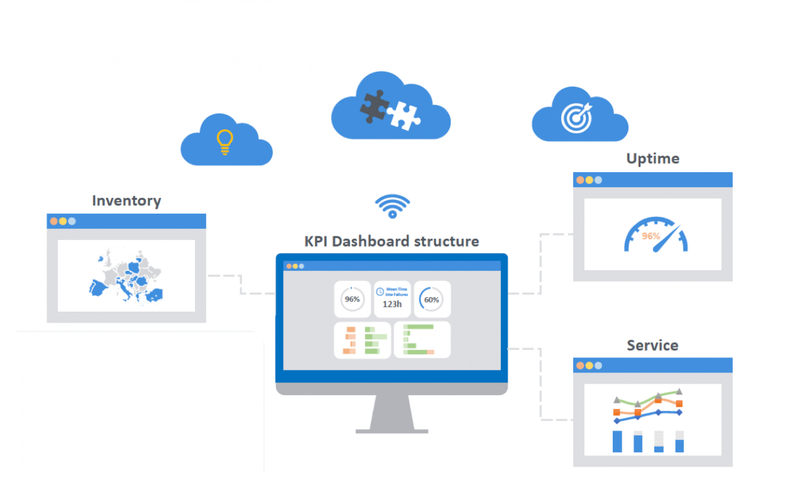 These KPIs are displayed in a dashboard, where management can analyse workflows, machine utilization, uptime and time in between failures to draw conclusions about productivity and workflow and drive actions for improvements around efficiency, quality and overall patient experience. Affidea’s new KPI mobile app, developed by GE Healthcare, will feature the service KPI dashboard, and will be installed directly on the mobiles of the centre managers and operations managers. The app’s dashboard will display the health and status of Affidea’s advanced medical equipment in real time, sending dynamic information updates from our equipment installed base across 70% of our centres in 16 countries. By installing the app across Affidea’s network of medical centres, clinical teams can be assured of uninterrupted operations and equipment data sharing, with notifications on asset status and service operations delivered in real time.